Thai massage therapies are famous all over the world and when in Bangkok you too can experience their wonders at the Watergate Spa. Located in the popular Soi Phetchaburi area of Bangkok, the Watergate Spa offers a range of therapeutic massages along with wellness and beauty treatments that will leave you refreshed after a single session. Their signature massages are highly sought after and you can opt for single hour or two hour sessions as per your choice. 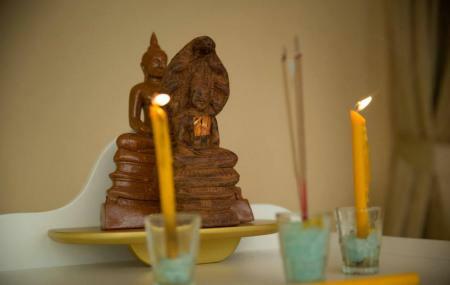 Watergate Spa is also a fairly popular center for Thai massage and spa for its extremely attractive prices. They also offer great discounts from time to time about which you can enquire while booking an appointment. The main reason for going to this place is that it was near my hotel and the price for a 2 hour Thai massage was reasonable at 500 baht. However, it is not a luxurious place or even comfortable for the following reasons : 1. Small and cubicles separated by thin curtains. I told my therapist I would prefer to have the curtains completely closed, but they kept opening up half the length of the cubicle. Made me very uncomfortable, especially when it was a guy next door ! 2. The AC and ventilation was not great. Partly why they had to keep opening up the curtains ! 3. I prefer massage places with platforms / beds that have a hole for your face to rest naturally. Otherwise, you either can't breathe or it is not really comfortable for your neck when the shoulders and neck are being massaged. 4. The therapist doesn't really speak English and is a little in "Auto" mode. I mentioned about my injury at least twice and she kept on either forgetting or not understanding, and caused me pain a few times ! Good foot massage. Just the layout is not conductive to chat with friends/family. The entrance is on the street level facing the main road. It can be quite difficult to find. There isn't an alternative entrance so don't bother searching within the mall. The service is good and relaxing. I dozed off during the massage. Will definitely go back again. Beautiful and professional services. Go to place for massage.